Is it too early to be getting excited for Valentine’s Day? Maybe I am just using it as an excuse to test this recipe for red velvet beet cupcakes I saw in Cooking Light magazine recently. The color is gorgeous, isn’t it? It is completely from the fresh beet purée, no artificial dyes here! At first I was worried about adding beets to cupcake batter. That sounds a little disgusting. I was pleased with the end result, since I couldn’t taste any beet flavor at all. The chocolate, sugar and buttermilk totally mask it. 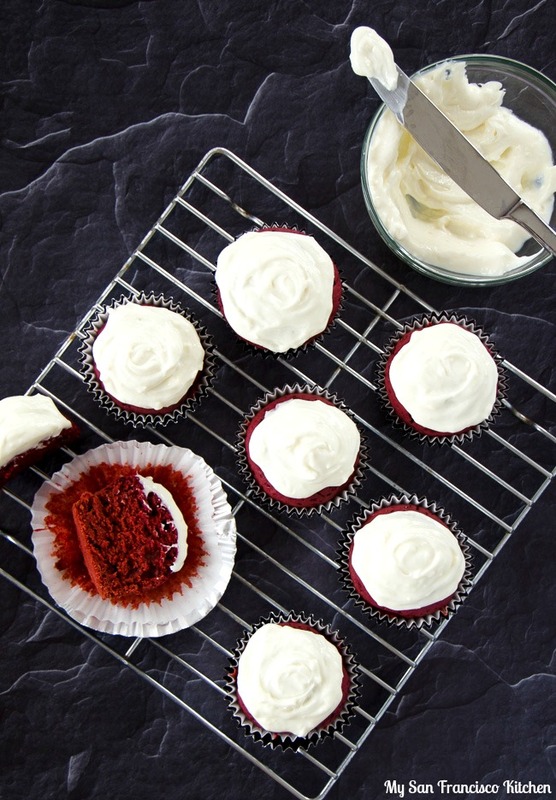 The beets only add a brilliant red coloring to these red velvet cupcakes and a moist texture. Did you know in the past when cocoa was less processed it actually turned the cake red by reacting with vinegar and buttermilk? Now it is harder to find cocoa that is not processed, so most of the time you have to use red food coloring to make red velvet cake. I am happy I found this great alternative! 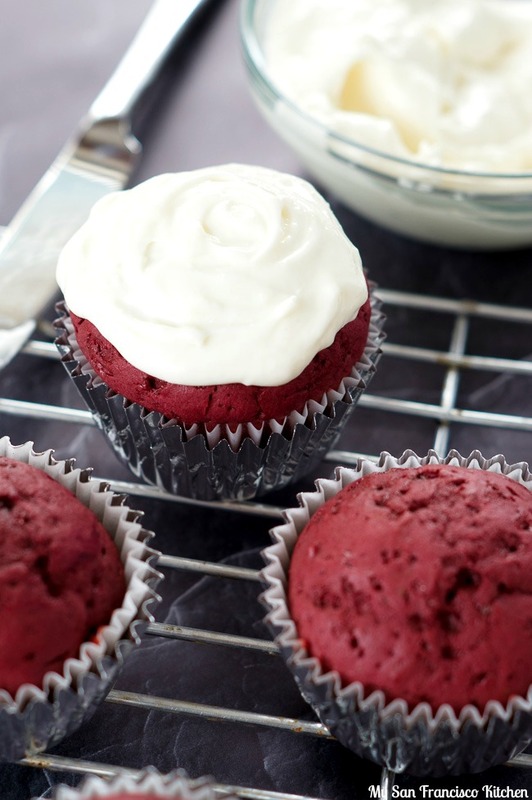 These red velvet beet cupcakes are frosted with a lighter version of cream cheese frosting, using light cream cheese and greek yogurt. What do you think? 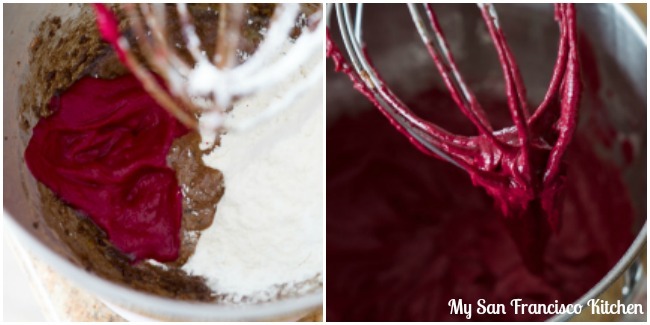 Will you try using cooked beets in your next batch of red velvet cupcakes?? Add the beet, buttermilk and vanilla to a blender or food processor and purée. 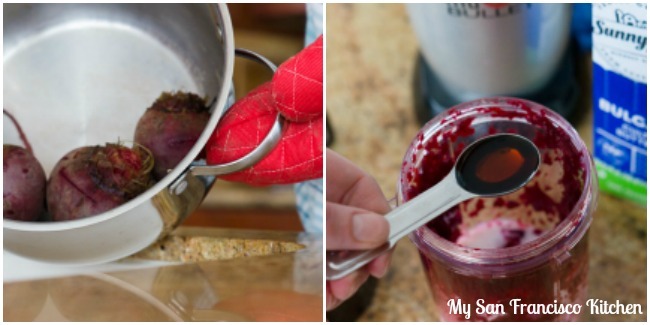 Combine the butter, oil and sugar in a mixing bowl using an electric mixer. 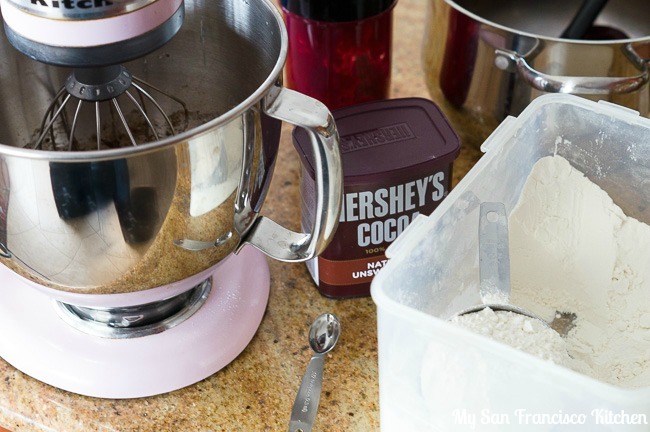 In a separate bowl, whisk the flour, cocoa, baking powder and salt together. Add the eggs to the butter mixture, then alternate adding the flour mixture and the beet mixture until well combined. 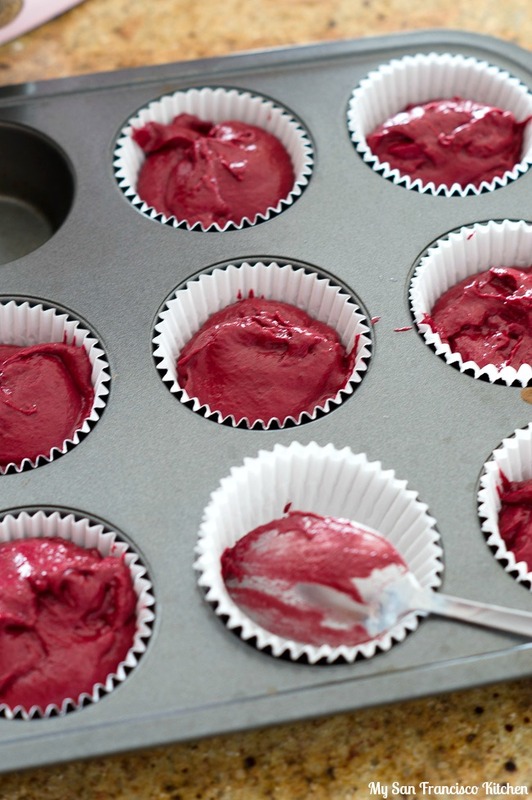 Fill a muffin tin lined with cupcake liners ¾ full. This entry was posted in Chocolate, Dessert, Valentine's Day and tagged beets, chocolate, cream cheese, cupcakes, frosting. Neat beet trick! And it’s never too early to be doing your Valentine’s Day planning!